Specialized businesses have their own marketing opportunities and challenges. 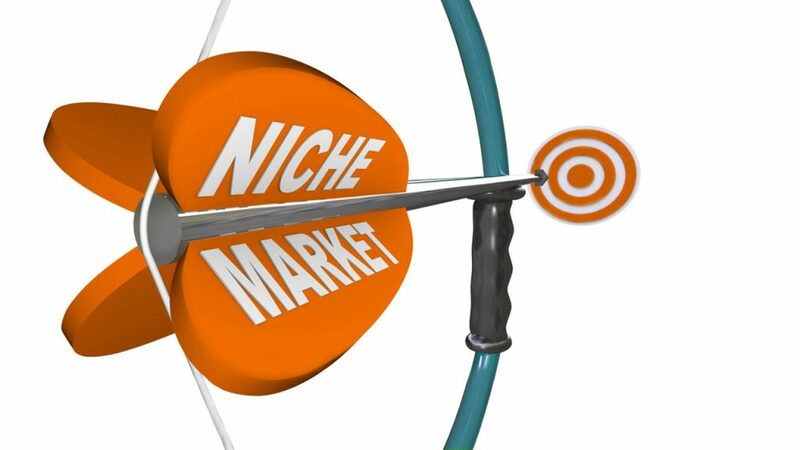 Also known as niche marketing, the focus is on connecting with a specific, targeted audience and communicating the features and benefits of their products or services. Unlike marketing efforts that seek to appeal to the broadest possible range of prospective customers, niche marketing generally crafts marketing messages aimed at prospects of a particular age, gender or income bracket—as well as those with a distinctive interest in their specialized product or service. Know your customer persona. Businesses large and small are increasingly focused on what’s called a “customer (or buyer) persona.” This is vital for niche marketing campaigns, not least because the potential customer pool is much smaller. Gather customer data from a variety of sources, but most particularly from customers themselves. Find out why they choose your product or service over the competition, and how your offerings improve their businesses and/or lives. Analyze purchasing data to determine current and upcoming buying trends. Evaluate prior marketing campaigns to see how successful they were in appealing to customer needs and challenges. Refine your message to fully reflect the process by which customers decide to purchase your products. Create the “perfect” customer experience. Based on all of this data, offer content that informs every stage of the marketing process, up to and including product packaging and advertising. Assess every customer touchstone, so you’re confident you can provide a seamless, easy-to-navigate online purchasing experience—each and every time. If you don’t know your niche customers inside and out, you won’t know how to communicate with them. Leverage the power of user-generated content (UCG). All marketing efforts rely to some extent on word-of-mouth and customer testimonials. But niche marketing takes this to the next level. Customers in specialized markets almost always check out reviews of a business well before making any purchasing decision. If their research turns up an array of enthusiastic customer reviews, much of your marketing work will be done for you. For this reason, it’s critical to establish a strong relationship with your customer base. Invite them to review and comment on your products or services. Ask permission to share these reviews on your social media platforms, in company blogs, etc. Where possible, encourage them to take a short video of your product in use or a description of how it benefited the customer. Posting these videos online can lead to a dramatic uptake in prospective customer interest. If your budget permits, offer to shoot a “case study” video yourself, detailing the customer’s problem or need and how buying your product dramatically changed their situation. Share your expertise, free of charge. Almost by definition, a niche business implies the owner and his or her team are experts in a particular field. Sharing this expertise without asking for something in return is another compelling marketing approach. Look for opportunities to share insights with social media influencers—or become one yourself—but also volunteer to speak at tradeshows or industry conferences, leading webinars, writing newsletters and so on. As word of your expertise grows, so will awareness of your brand and greater interest in your product. If you’re looking to boost your niche marketing efforts, TAB offers a variety of resources to help. Learn more about generating content that gets people talking about your business. For a big-picture look at strategic marketing and management, click here. We also invite you to learn more about how becoming a TAB member can increase sales and grow profits. What Technology Is Best for Driving Growth?